Becks started at Southey Sayer (was Sadler Oakly Newman) in 1997 and has now been a Director of the firm for over eight years. She enjoys the relationships she forges working alongside her clients helping to manage and grow their businesses. Becks also sits of the Wairarapa Bush Rugby Union as an Independent Board Member, the NZCA Board, and is a Trustee of The Life Education Trust Wairarapa, Tararua and Central Hawkes Bay. 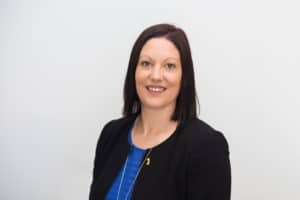 Having been in the Wairarapa for a long time after growing up in Rural Taranaki, Becks has a strong grasp on what makes this region tick and contributes her skills to the Chamber. Becks is married to Troy and they have two children together.